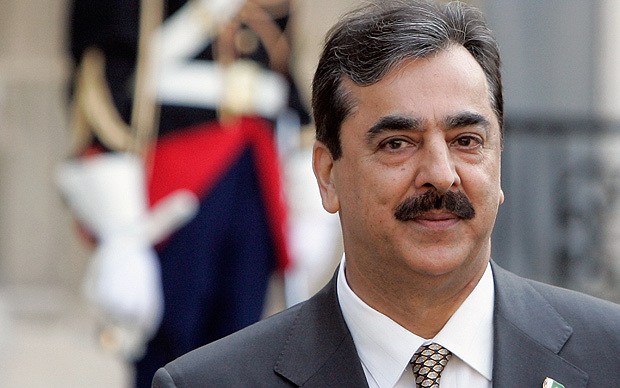 Erstwhile prime minister Yousuf Raza Gilani on Wednesday appeared before an accountability court in a reference related to the misuse of authority. Accountability court Judge Arshad Malik had summoned Gilani in connection with the case today. The former premier was asked to submit surety bonds worth one million on his request of permanent exemption from appearing in the case. The court further issued a notice to the NAB on Gilani’s exemption plea. Earlier in September, the National Accountability Bureau (NAB) Rawalpindi filed a reference against Pakistan Peoples Party leader over the charges of misusing the authority. Former information secretary Farooq Awan, former principal information officer Muhammad Saleem, former Universal Services Fund (USF) chief executive officer (CEO) Riaz Asher Siddiqui, Midas CEO Inam Akbar, former USF company secretary Syed Hasan Shikoh, and former personal assistant to the public relations officer IT Muhammad Hanif were named as co-accused in the case.